Iron is one of the most common nutrient deficiencies in children. There are many different things that can cause it, including blood loss, the inability to absorb iron and dietary deficiency. This means that it is important to fully investigate any suspected iron deficiency with a GP before putting it down to a dietary deficiency. 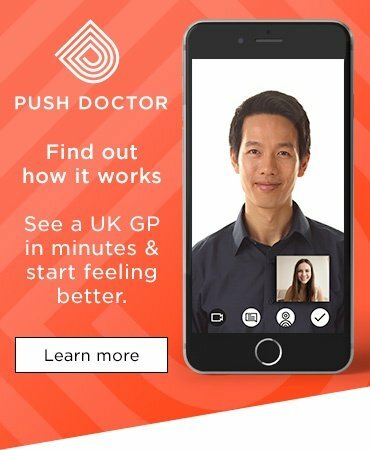 Disclaimer: please note this article is general advice only; it is not intended to replace the personalised management plan from your GP. If you suspect your child has an iron, or any other nutrient deficiencies, please consult a GP for further advice. Iron is a mineral used by our bodies to make haemoglobin. Haemoglobin in our blood helps to move oxygen from our lungs to the rest of the body’s organs and muscles. It also takes carbon dioxide waste away from the body’s tissues back to the lungs to be exhaled. Iron also plays a key part in muscle function, energy production, DNA synthesis and in our immune systems, therefore it is essential for children’s growth and development. If you suspect your child may be iron deficient, please do seek advice from your GP. 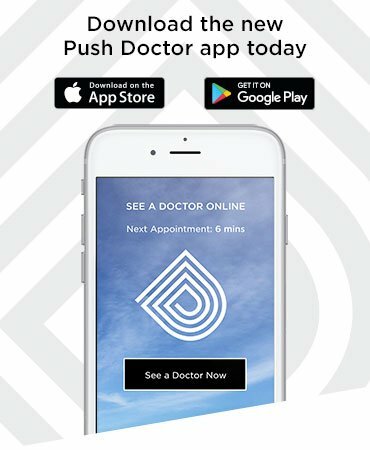 How much iron do children need daily? Remember, this is a guide to what is enough for most toddlers and children. However, what is most important is to eat a balanced diet and not just focus on one nutrient alone. To help your child or children get enough iron, they can eat red meat such as lamb or beef, and organ meats such as liver (limit to once a week), as all of these are very high in the mineral. The darker cuts of poultry, such as the legs or thighs, will also contain more iron than the breast meat. Meat is a good option as the iron found in it is in the ‘heam’ form which is much easier for the body to absorb. Eggs are also a good source, as are shellfish such as clams, mussels and oysters. Vegetarian forms of iron are found in the non-haem form in food. This can be harder to absorb, which I will talk about further shortly. They include legumes such as beans, lentils, chickpeas, soybeans. Dark green leafy vegetables, such as spinach and kale are also great sources, as are tofu, quinoa, dried fruits such as apricots and nuts and seeds. How can you increase your child’s iron intake? I’ve put together some top tips to help you increase your child’s (and your own!) iron intake. Just a few simple switches can make a huge difference to how much iron you incorporate into your diet and how your body absorbs it efficiently. 1. Did you know milk can decrease your body’s absorption of iron? Try to avoid dairy with at least 1 meal per day. Avoid milk drinks at mealtimes – water is best. Try to keep 1 meal ‘dairy free’ and make that your main ‘high iron meal’. For preschool children I find this is best done at lunchtime when they are most likely to eat well. 2. Add Vitamin C to your ‘high iron meal’. Vitamin C increases your body’s absorption of iron, so adding food high in vitamin C will help you to maximise your iron absorption. 3. Make simple food switches. 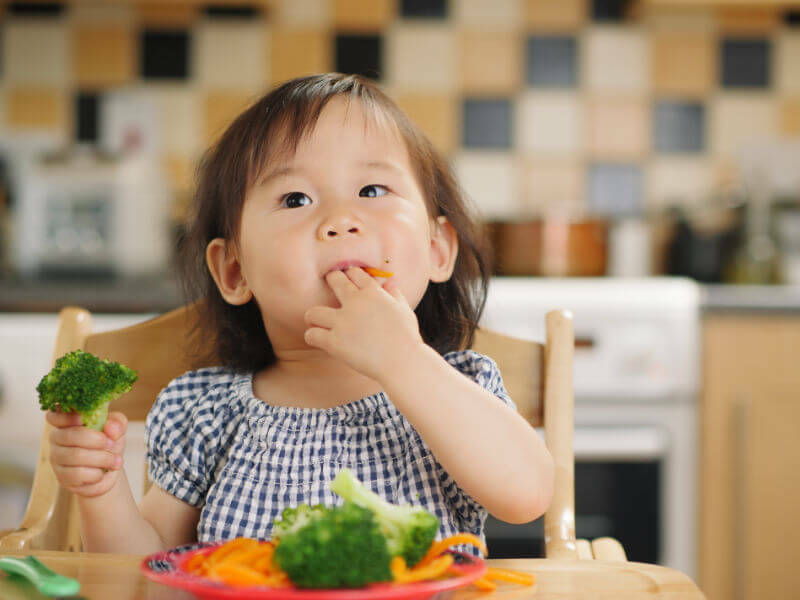 Adding new foods to a child’s diet is not always easy… sometimes is easier to start with just changing the way you serve the food they are accustomed to or ‘hiding’ them to begin with. Frozen chopped spinach – this is my freezer staple… add it to sauces, smoothies or make green scrambled monster eggs - iron & vitamin C in one! 4. Consider high iron healthy snacks in between meals. Seeds such as pumpkin seeds and sunflower seeds are incredible nutrient dense high iron snacks. Avoid ready meals or processed food and make your own meals. I truly believe healthy food does not need to be time consuming, expensive or difficult. I hope to show you with a few simple recipes below how you can make healthy, nutritious meals and snacks for the whole family in under 30 minutes. Oh and my mantra… ‘Cook once… east AT LEAST twice’! I ALWAYS make extra… to pop into a lunch box for the next day… or to pop into the freezer for next week. As a working mum… I understand that time is precious and if I’m cooking for 4, it's just as easy to double or triple the recipe and save myself some time another day! Practising what I preach, here are some of our family favourite recipes which I hope will help you to incorporate more iron, as well as other nutrients, into your mealtimes. I also hope to show you how I have used almost the same ingredients for all our family, but presented it in a slightly different way or tweaked the odd ingredient to please everyone. As a working mum, I certainly don’t have time to make separate meals. 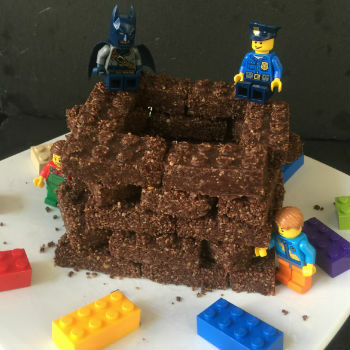 I also believe it is important for children to be introduced a wide variety of food from an early age… but that’s another blog post in itself! Pulse all of the above in a food processor for a few seconds at a time. You want to break the ingredients up to a coarse texture but not mash them fully to keep some crunch. 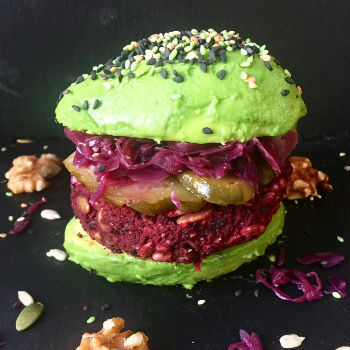 However, for fussy eaters, I find blitzing the nuts and seeds to a fine powder first to avoid ‘bits’ can help the first time you introduce this burger. Form into round shapes and cook in oven for 25-30 minutes at 200 degrees. 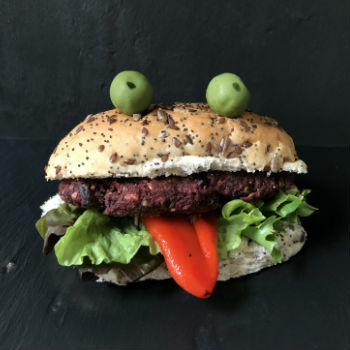 For the children, I’ve served this in wholemeal multi seed burger bun with olive eyes and a red pepper tongue (adding that vitamin c!) I’ve used hummus instead of butter and some salad leaves, but choose your child’s favourite salad – cucumber or tomato slices could work nicely. Alternatively, serve with a side of sweet potato wedges. For us, we had it in an avocado bun with some hummus, gut healthy sauerkraut, jalapenos & gherkins. Mix the spinach, egg and lamb in a bowl and form into small meatballs – makes about 16. Fry these in a frying pan to brown for about 10-15 minutes. Remove from pan and place on kitchen paper to drain of the excess fat released. Fry the onion in olive oil until soft and golden and then add the garlic. Stir a couple of minutes and add the tomatoes, salt & pepper to taste. Add the meatballs into the tomato sauce base, cover and cook for a further 25-30 minutes until fully cooked. Add a splash of water if the sauce is too thick. 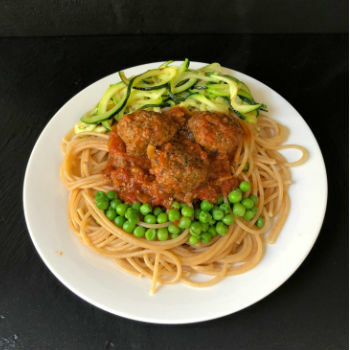 For the children I served this with some whole wheat spaghetti with courgetti hair and peas (adding a dose of vitamin C into the mix). For us, I served with black bean spaghetti and courgetti and a sprinkle of chilli flakes. 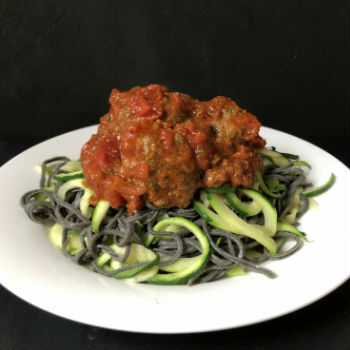 Black bean spaghetti is another fantastic protein & iron rich spaghetti, my children love it and the novelty of it being black is a bonus for them – why not give it a go or try a pea or lentil pasta as a high protein alternative? 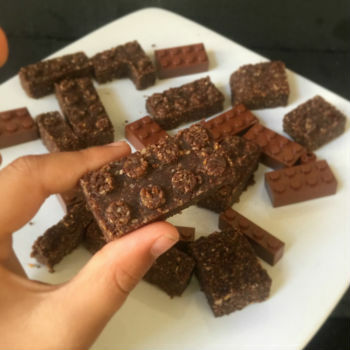 Protein lego bricks – our favourite family snack! I simply blitzed all the ingredients together in a food processor and pushed into the lego moulds. You could of course just roll them into balls for adults… but I much prefer the lego version! If you find it isn’t sticking together well, just add a little bit more coconut oil. And to form the perfect lego shapes, pop the moulds into the freezer for an hour before turning out.